ELIZABETH CITY, N.C. – Each year the SEMA show brings us mind-blowing vehicles that every car enthusiast drools over, and this year it’s no different. We have our eye on one car in particular though! We’re talking about the all-new Camaro concept cars. The Chevrolet Camaros impressed everyone at SEMA this week with their four unique concept cars. Each Camaro features different accessories and performance parts Chevrolet is rolling out in early 2016. Some of the upgrades include a performance exhaust, darkened taillamps, and aluminum wheel designs. Take a good look at this lineup and you’ll see why the Chevrolet Camaros impressed everyone at the SEMA show! 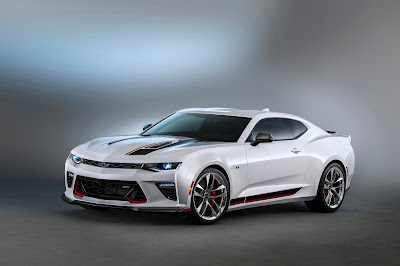 Camaro Chevrolet Performance Concept – a Summit White Camaro SS with sharp red accents and billet-cut 20-inch lightweight aluminum wheels. It also features a lowered suspension and other performance upgrades. Camaro Hyper Concept – designed with Camaro’s heritage in mind, this beauty is a Hyper Blue Camaro LT coupe with white rally stripes and heritage-style fender badges. It also features 20-inch forged aluminum wheels and inside is a 3.6L V-6 engine. 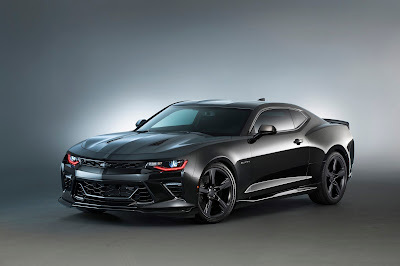 Camaro Black Concept – a dark Camaro SS in Mosaic Black Metallic with a darkened trim all over. The look in complete with tinted class, 20-inch wheels, and a lowered suspension. 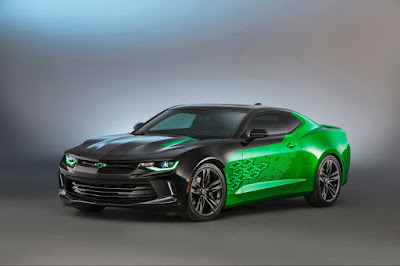 Camaro Krypton Concept – You can’t miss this guy with its Krypton Green paint. Down the side the Camaro shows off the Chevy bowties and at the flip of a switch they light up. You can get a hold of all these accessories and performance features in early 2016. Soup up your Camaro and you could impress everyone too! 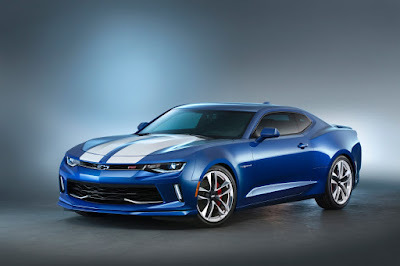 Want to look at our 2015 Camaros? Come to our Chevrolet dealer near Corolla, NC. We’ll hook you up with a new ride! You can check out all of our other new Chevy cars for sale as well if you’re looking for something else.